Elsa Baum dreams of moving away from Germany, a country she had watched everyday being dragged deeper into war by Adolf Hitler. Everyone had fallen under his spell, listening and believing in everything he told them. Elsa and her close friends were the exception; they despised the Nazi’s and would soon learn the extent of their hatred towards others they considered a threat to their ideology of the perfect superior race. After a chance meeting with the daughter of a high ranking Nazi, feelings were kindled and she found herself a part of the minority the Nazis were trying to eradicate. 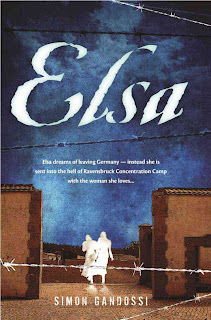 A compelling tale filled with drama, Elsa paints a stark portrait of a dark time in history when hatred claimed the lives of many innocent people, whose only sin was to be born a Jew. It also brings to light the prejudices that continue to exist today and how violence can suddenly rear its ugly head despite seemingly peaceful times.